Beyond the new city centre developments, the old Sheffield canal is overgrown, run-down and deserted. Signs of regeneration creep along its towpaths, including a small, innovative gallery housed in one of the warehouses. But between the renovations it's a dark and lonely place - the perfect site for an exhibition reworking Brueghel's The Triumph of Death . For Eliza Eliot, the curator, the chance to show well-known artist Daniel Flynn's work at the gallery is a coup. But when a young woman's body is found in the canal, Flynn's nightmare images begin to spill out into the real world. Still affected by the murder of her friend's daughter four years earlier, Eliza is drawn deep into the violence that seems to surround the gallery. Is this the work of a psychopath or is there a link between present horrors and the tragedy of four years ago? 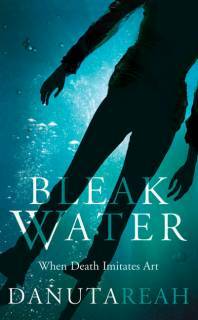 A number of years ago, I read the book Bleak Water , by Danuta Reah. It is set in our shared home city, Sheffield. It is an atmospheric crime novel, full of dark forebodings and containing some “difficult” subject matter. I enjoyed it greatly, and it made a big impression on me at the time. So much so, in fact, that I sent my copy as a present for a friend who lives abroad and who doesn’t know Sheffield at all. I went to the trouble of visiting the various locations used in the book, took photographs, made notes, and added little stickers to the book so that my friend could maybe visualise the locations better. This page contains the best of those photographs and the relevant quotes from the book, together with the notes I made at the time and some later updates. It may help other readers of the book to visualise the locations as well. 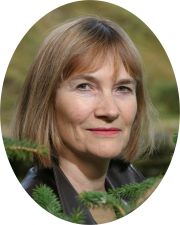 Danuta Reah talked to Clute and Edwards of Noircast.net about language, crime and art, with particular reference to Bleak Water : go direct to the podcast page. "I wish I could describe Danuta Reah's talent and achievement with the same quiet, unsettling and mesmerizing technique she brings to Bleak Water . This is a writer who understands that there is no need to oversell the horror of crime and its legacy. A powerful, haunting book." It has also been published in large print and audio editions (audio book narrated by Maggie Mash).
" Bleak Water is as forbidding as its title. Young women are being murdered in Sheffield in especially cruel and fetishistic ways... A tempting circle of suspects." "Brings new depth to a resolutely populist genre and will reward anyone looking for a bit more substance than usual in crime fiction"
"A suitably sinister canal side setting for an art exhibition celebrating Brueghel's The Triumph of Death ... Ms Reah holds her sometimes complicated plot together skilfully and she has a good ear for dialogue." "A dark brooding tale, well calculated to set your nerve ends jangling and with all the warmth and cosiness of the tomb. Ten out of ten for terror." "This is a crime novel with a strong element of psychological suspense... it combines the world of modern art with the world of the modern police force... the last fifty pages are nail biting." "Reah offers here a complex, character driven narrative that peers into the dark side of human nature... A haunting, multi-viewpoint narrative by an author who understands that people's psyches are multi-levelled and that no one is ever really innocent." "This is a dark, dark book - one is led to wonder whether an obsession with the macabre inevitably leads to evil. There is a chilling and terrifying climax. I couldn't put it down." Some foreign editions of Bleak Waters : published in French as Le Triomphe de la Mort , in German as Bilder vom Tod ), in Swedish as Dödvatten and in Finnish as Tummat vedit .